Viewers have already linked the Netflix darling Stranger Things with Randy Newman’s “Strange Things.” But CJ Simonson of Merry-Go-Round Music has dived into another related property (at least on a titular level): a 2016 album by the English rock band Yuck, which is also called Stranger Things. 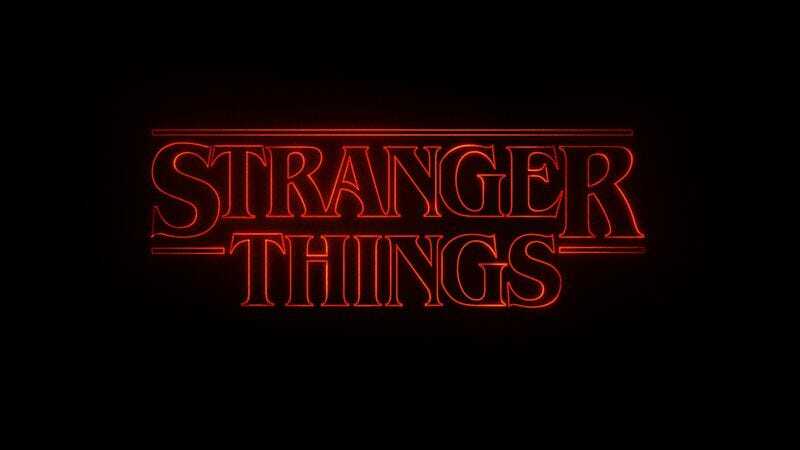 Simonson’s article, “Stranger Things vs. Stranger Things: The Unnecessary Battle of Identically Named Pieces of 2016 Media,” is decidedly tongue-in-cheek. But that doesn’t stop him from taking his analysis seriously. Yuck’s ’90s rocking was interesting when it was released, but it’s been watered down enough times for people to mostly have lost interest. Hell, I didn’t even realize Yuck had released an album until I was, ironically, looking for the Stranger Things soundtrack on Spotify. A different article should be written about Yuck fans who discovered the new album while looking for the TV shows soundtrack because I’m betting it’s half their audience. You can read the full article on Merry-Go-Round Music.